Like the phoenix from one of the album’s catchiest tracks, Fall Out Boy has come back from the ashes. 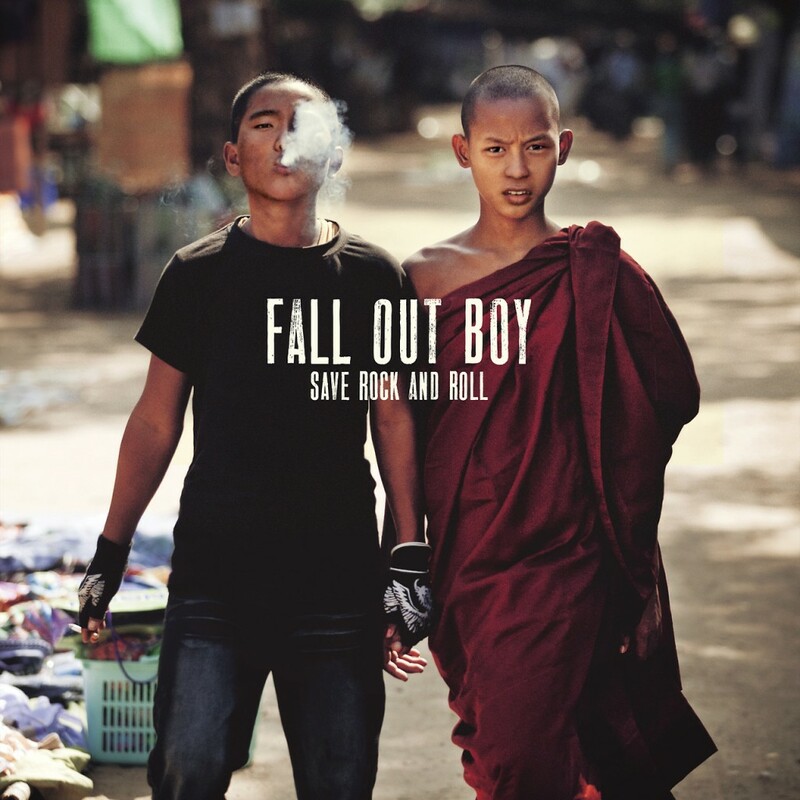 Their new album, Save Rock and Roll, does an unbeatable job at reviving the rock genre from FOB’s past and blending it with the pop music that consumes our generation. However, unlike the ridiculous bass drop in Taylor Swift’s “I Knew You Were Trouble,” FOB slowly eases in hints of pop music without losing the essential rock undertones that they were born from. The juxtaposed genres of rock and pop are highlighted by the two guest rappers (Big Season and 2 Chainz), rock legends (Elton John and Courtney Love), and British singer Foxes that all make appearances throughout the album. Each song of the album is unbelievably catchy and the lyrics only help to keep the listener captivated. By incorporating the piano and vocals of Sir Elton’s golden days, undertones of Britney Spears’ “Gimme More” in “Rat a Tat,” and Adele’s “Rollin’ in the Deep” in “Just Yesterday,” FOB touches base with many different music lovers and captures everyone’s attention right away. They introduce a new style of rock that holds on to their past, while embracing the chart-topping appeal of pop. Everyone has been anticipating the day that FOB would come back from their hiatus, so much so that the tickets to their first show sold out within 30 seconds. They were not expecting the reaction to their new album to be so enthusiastic: Save Rock and Roll has been the second best selling album on iTunes for the past two weeks, and one of their hit singles “My Songs Know What You Did In The Dark” has been in the Top 30 of the Hot 100 since it was released two months ago. Fall Out Boy has not disappointed, and all their old fans have risen from the ashes with them, along with a new wave of fans from the newer generation. Maybe rock will soon dominate this pop phase we’re in, who knows? If it were to happen, FOB would definitely be first in line to take over.